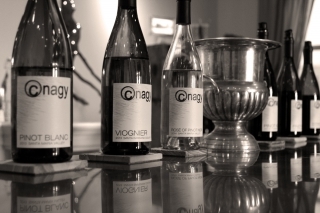 Celebrate Vintner's Festival with us on First Friday! Enjoy a special mini-vertical tasting of library wines for $20 per person. Taste through 3 vintages of Bien Nacido Pinot Blanc and 3 vintages of Garey Ranch Vineyard Pinot Noir.